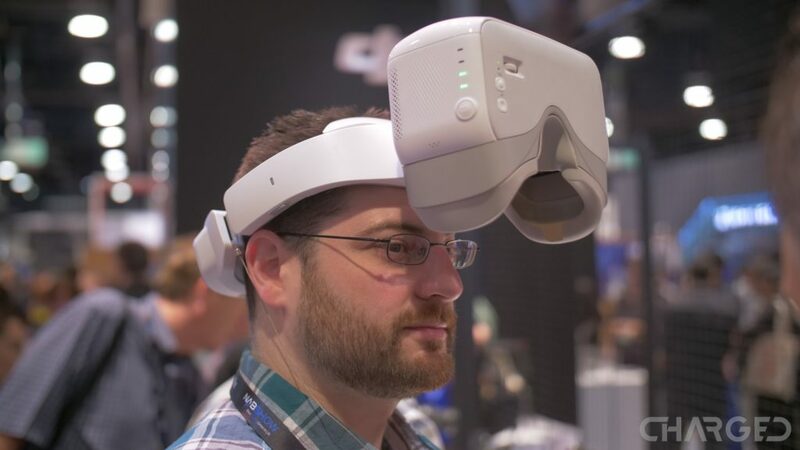 The title of this article is sort of a trick question, there is a time and place for both AR googles and VR headset when it comes to flying drones. VR provides the best immersive experience, AR adds information to your flight, both sit on your head. Let’s take a quick look at the two types of smart glasses, see what is right for you for your flying style. The same goggles are on the list, but most prices are down a little this month. First up, it is important to remind you that most countries of the world require direct line-of-sight to your drone while it’s in the air. Speaking for the United States, the FAA is very strict about this rule, however, it is only valid while you fly outdoors. Flying indoors changes the game, wear all the goggles you want! Your choice of goggles can help or hurt your line-of-sight flight, as you’ll see below. No matter which option you choose, putting a small screen right in front of your eye(s) is an exciting way to experience drone flight. Live streaming drone video is pretty normal stuff these days, we recently explored a few of the ways you can view that drone video. The other extremely important factor for AR and VR goggles is latency. Both types of goggles, theoretically, offer similar latency, either way, any significant delay can result in a crash, so choose wisely regardless the style. Enough basic logic, let’s dive into the goggle styles. AR, I am sorry I did not specify this sooner, AR stands for Augmented Reality. This is a display that does not entirely block your view of the real world. Some of the best AR glasses or goggles use a transparent display, like what fighter pilots are used to in their flight helmets. 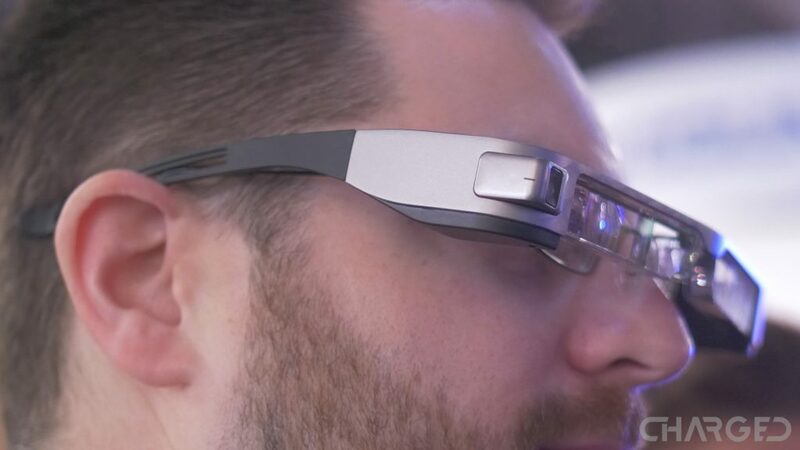 Transparency is not always ideal, so you may end up with an AR headset that has a small display in the corner of your vision. Either way, the important feature of AR video is that it allows you to still see your drone. 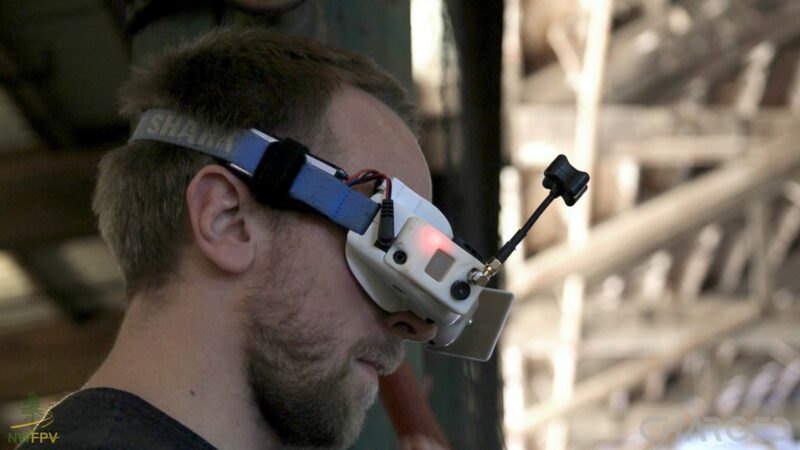 Remember that line-of-sight rule, you can still fly your drone with AR glasses. That’s a huge advantage, however there is only so much you can do on a tiny screen, so you’ll want to choose your glasses carefully. 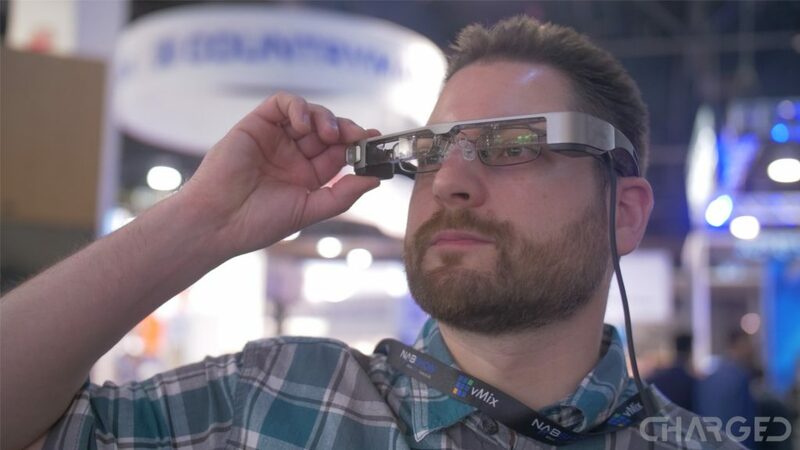 We keep coming back to the Moverio AR glasses from Epson. Yes, the projector and printer company. They made a tiny projector and shoved it into a pair of fancy glasses, projecting the image in front of each eye in a manner that allows you to see the world around you, and a decent sized transparent screen right in the middle. In the case of Epson’s approach, so far, they have been working closely with DJI, the Mavic Pro is the machine they like to promote. Bringing the entire DJI GO 4 app interface into a transparent window in your field of view at all times is pretty slick. Of course, it sits in a stationary position, for now, and some of the finer elements are a little tough to see, but you can still see your drone in the background, so you’re legal to fly! The real key to AR is in it’s very description, there are a few games out already that virtually augment your reality. Seeing virtual elements overlaid on top of your view of the world is what it’s about, and racing around a virtual track, collecting virtual coins, while your drone bounces around in the air is where we’re at today. The Moverio BT-300 are $599 today. Update May 2018: We just sat with the Moverio team at AUVSI Xponential, watch for our interview video and update on what’s new with the glasses. Update August 2018: The new Moverio BT-35E are a solid upgrade to the AR glasses line, but now you can connect to almost any drone, not just the DJI Mavic Pro. 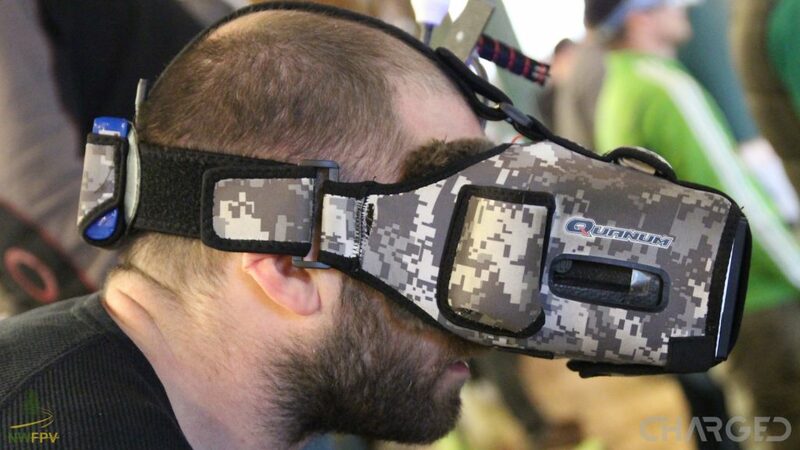 VR, starting with the words behind the acronym again, stands for Virtual Reality. I am sure you knew that. The key difference with VR is that you are in an enclosed headset. The experience is second to none, in my opinion, but you cannot see your drone. The FAA allows the use of a spotter, or you can stay indoors. There are many great VR options out there for drones. We have been rocking the DJI Goggles for our camera focused flights, those of you in the racing world will have something different. The absolute most important factor in a VR headset, as we’ve already mentioned, is latency. In AR glasses, if your video lags or freezes, you just look at your drone and keep going. In VR goggles, lag can mean you’ve hit the wall and don’t know it yet and a freeze leaves you, for all intents, blind. The magic of VR goggles is in the screen. 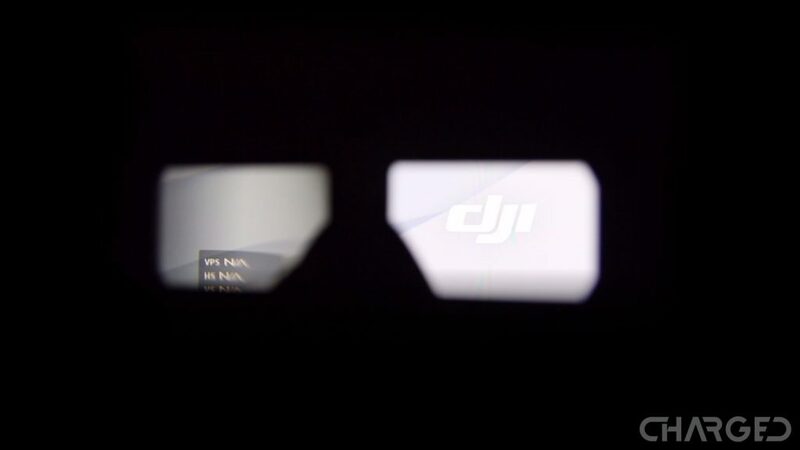 Using those DJI Goggles as our example, they emulate a 216 inch display at about 10 feet from your face. That is a large enough screen to cover most of your visual range. It is certainly more than my eyes can focus on, I have to almost strain to see from corner to corner. You’re looking at $319 for the DJI Goggles today. We will be expanding our coverage of the racing scene, more specific, we are going to learn how to race and want you to join us on the ride. We’ll be starting with the Uvify OOri, which has a display built into the remote as well as an AV-out to connect to goggles or another external video display. 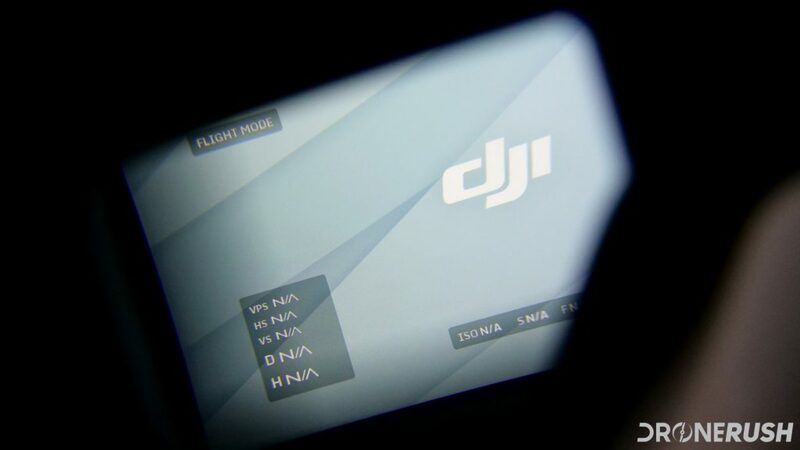 One of the first things we’ll attempt to do is connect OOri to our DJI Goggles, go ahead and leave a guess whether or not that results in a crash or success. Stay tuned for this, the Uvify OOri will ship in May 2018. 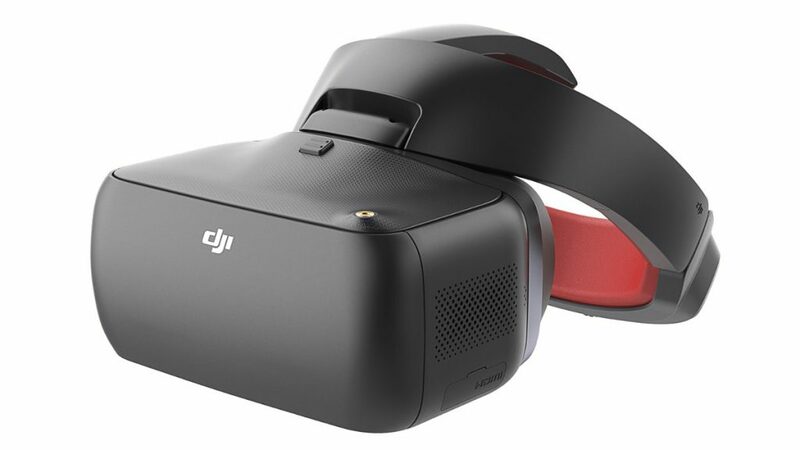 DJI heard our cry for more, they have announced the new DJI Goggles Racing Edition. The majority of the unit is the same as the original Goggles, but the radios and options for antenna have changed. Add to this a new Ocusync ready camera and transmitter and you’ll see latency down to 50 ms. This is, in my opinion, fast enough to safely fly a high-speed racing drone. Good work DJI. Fat Shark has a new beginners kit available. 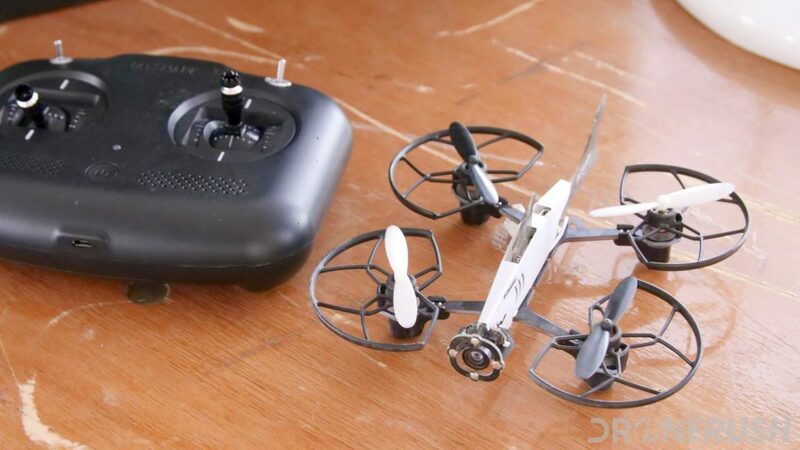 You get a micro racer, a remote control and a beginner’s FPV goggles. The Fat Shark 101 kit is $172. What is better, AR or VR? The AR experience excels when you use it to put additional flight data in view as you fly. The VR experience is nearly unbeatable for viewing flights, both during and afterward to watch the recorded footage. It really boils down to what you are looking for out of a headset. Drone racing is not something that many can do from the sidelines, VR goggles allow pilots to see where they are going from the drones perspective. Flying outside without a spotter leaves you just one option, AR. Admitting that you can still see the live view from your drone camera within these smart glasses, it is really quite difficult to focus on the video, what with the real world going on in front of you. Your imagination really is the limit of your use of either AR or VR technology. It is almost short sighted to say that AR is only to add a bit of info to your flight, same as saying that VR is only for full immersion. It’s really up to you, tell us, do you prefer AR or VR when you fly your drone.